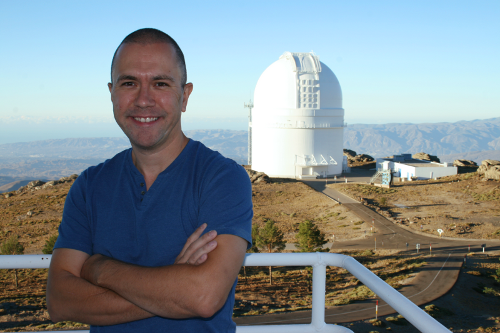 The researcher, who has been Calar Alto Observatory Deputy Director since May 2014, has been appointed by CSIC and MPG, the observatory management institutions. In May 2014, after José María Quintana resignation as Calar Alto Observatory Director, Jesús Aceituno assumed the management of the institution as Deputy Director, in a very difficult and upheaval period for the center, and with a very restrictive budget. In these two years, Calar Alto Observatory was able to go back to normality and has achieved important challenges: two new instruments have been launched, CARMENES, for the search of earth like planets, and PANIC, for the wide-field near infrared observations. Calar Alto Observatory has also hosted the PlanetCam camera, developed at País Vasco University and dedicated to the study of planetary atmospheres, and also a “universal comb”, an innovative instrument for spectrographs calibration, developed at Leibniz Institute for Astrophysics and innoFSPEC Center. An agreement with the European Space Agency (ESA) has also been established for the exclusive and remote use of the Schmidt Telescope (which has been put into operation again after years of disuse), within its project for searching NEOs (comets or asteroids with orbits that can lead them to regions close to the earth orbit). Besides, since July 2014, Calar Alto Observatory has a fireball detection station, with five high sensibility CCD cameras and developed under the scientific direction of the University of Huelva and with the collaboration of the Instituto de Astrofísica de Andalucía (IAA-CSIC). “It might be said that Calar Alto Observatory is reaching a cruise speed again, and with a very good expectations for the future”, the new Director Jesús Aceituno says. “This does not mean that the job is finished, but the opposite: it is now when the really interesting part begins, as we have new projects in mind and the need to concrete how will be the observatory future in order to maintain a privileged position at the forefront”, Aceituno concludes. Besides, the observatory is doing an important bet for make itself known and spread its work to the people through participating in different events as the Astronomy and Astrophysics Week in Almería or the Night of the Researchers, together with the sign of an agreement with Azimuth company in order to develop a program that allows the citizens to visit the observatory. The new Director plans to continue with the necessary contacts to ensure that the future of Calar Alto remains as promising as it appears, extending his hand to the different institutions that could take part in the management of the biggest observatory in mainland Europe.